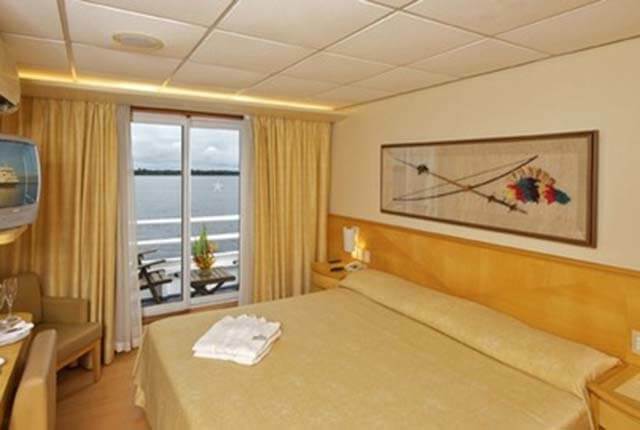 The 148-passenger Iberostar Grand Amazon cruise specializes in unforgettable all-inclusive journeys in Brazil's Amazon region, with the superior comfort and excellence of the best ocean-going cruise ships. 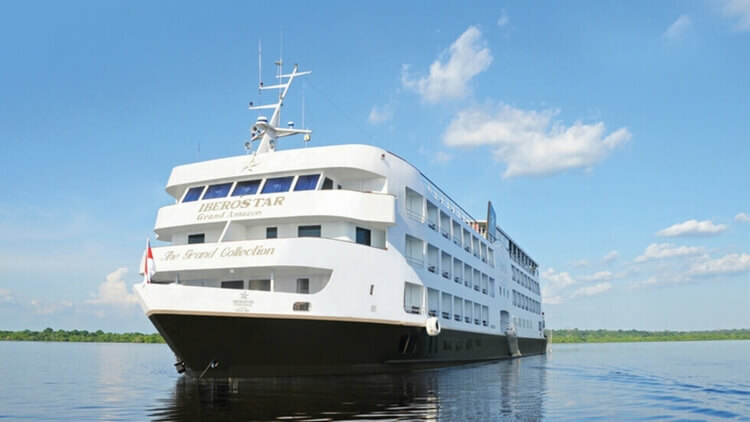 Experience the tropical rainforest and the fascinating environs of the Amazon River on this trip deep into the jungle while you luxuriate in the comfort of this premiere cruise ship. 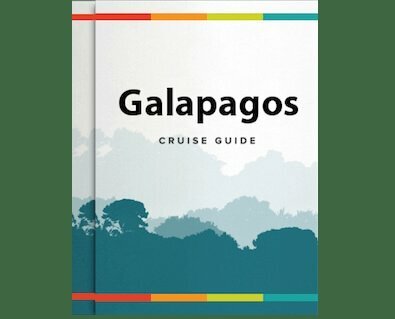 The adventure begins in the Brazilian city of Manaus, and explores an area with the greatest natural exuberance on the planet – Amazonia. 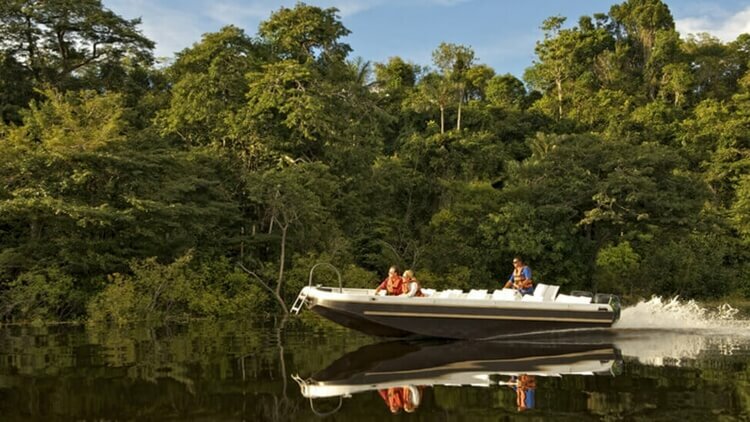 Along the way, the Iberostar makes stops at various spots in the Amazon Rainforest, offering trips on small boats for guests who want to explore the jungle’s dense, untouched vegetation to marvel at tropical trees, plants and exotic animal species. Despite the remoteness of the destination, passengers can enjoy all the modern conveniences on a luxury cruise ship, including 74 fully-equipped cabins, exclusive bars, a choice of two restaurants, a wide range of entertainment activities, a conference room for conventions, a convenience store, no fewer than two swimming pools, a Jacuzzi, disco, massage room, gym and more! The vessel is also unique in that it has a wheelchair accessible cabin and an elevator to all floors making it the best Amazon cruise option for those with disabilities. Despite the minimum age requirement being 8, we do feel the Iberostar Grand Amazon is a great option for kids, especially for families whose children are between 8 - 12 years old who receive a 50% discount on the already low rates. Each deck has 4 cabins that are interconnectable, ideal for families, and there's plenty of space for them to run around and two large pools for them to cool off in. There are a wide range of activities to keep them entertained including lectures, shows, local folklore-themed festivals, bingo, live music & dance, and even when in the cabins there are TVs which show films & documentaries. 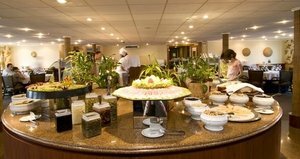 Food can often be a problem for those whose children are picky eaters, but on the Iberostar Grand Amazon the choice of two restaurants and buffet-style meals provide such a wide selection there is something for everyone. 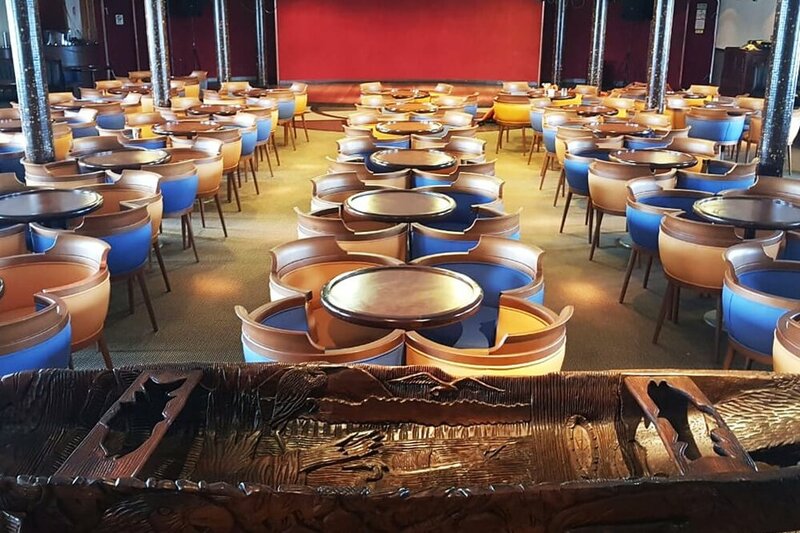 The kids will also love the pizzas, sandwiches and other snacks available on the top deck. 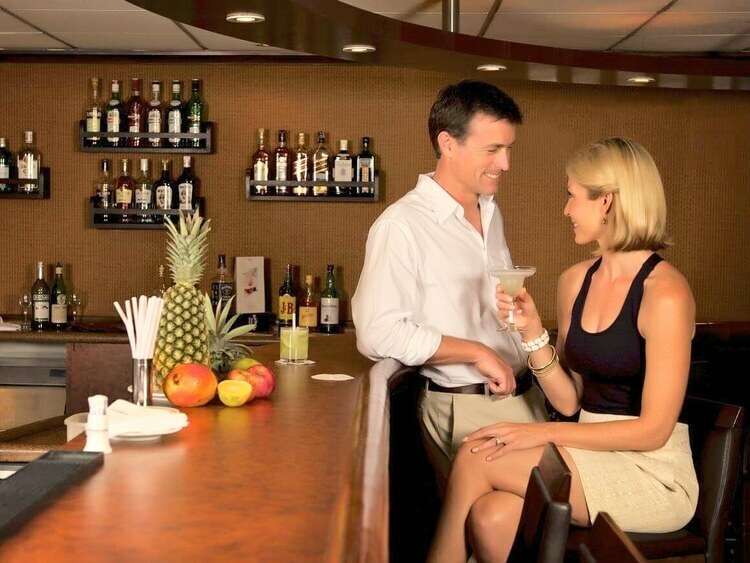 Parents may also be pleased to know that there are two bars and that all alcohol beverages are included to help them unwind! Please note that specific to the Iberostar Grand Amazon, there is a maximum allowance of 2 pieces of luggage per person. In addition to this, gentlemen should also be aware that they are not allowed to wear shorts to dinner in the Restaurant Kuarup, so please pack a pair of pants accordingly. Please note that a pre-arranged visa is required by holders of US, Canadian and Australian passports, in order to enter Brazil. Contact us for more details.